Steps from Central Park, 1 Hotel Central Park is within easy reach of NYC's top restaurants, theaters and attractions. The drive to John F. Kennedy International Airport takes approximately one hour. 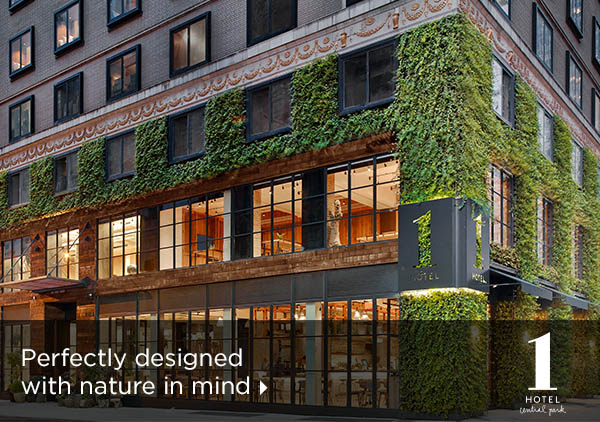 Green is the theme at 1 Hotel Central Park. 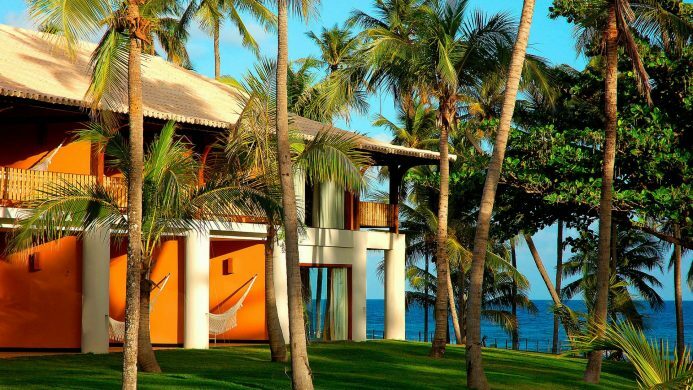 Designed to feel like an enchanted forest, this luxurious eco-hotel has ivy growing on the outside, a lobby decorated with over 24,000 hanging plants and locust tree twigs on the front door. And that's just the beginning. Thoughtful touches bring nature into each of the 229 guest rooms and suites. Step into your quiet reprieve from the bustling city below and be surrounded by a host of natural materials. 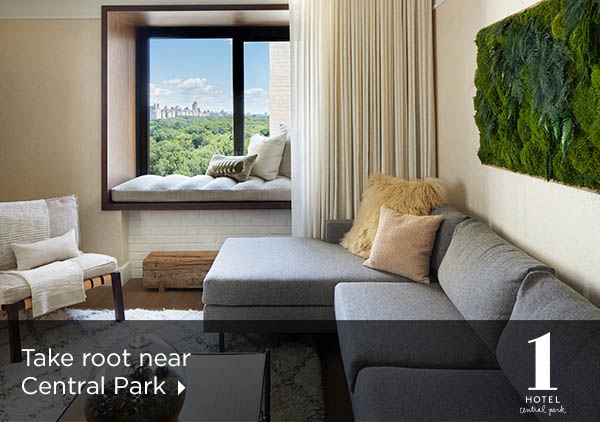 From reclaimed woods and treetop views, to a custom organic cotton mattress and sheets, the materials evoke the natural beauty and calming energy of Central Park. 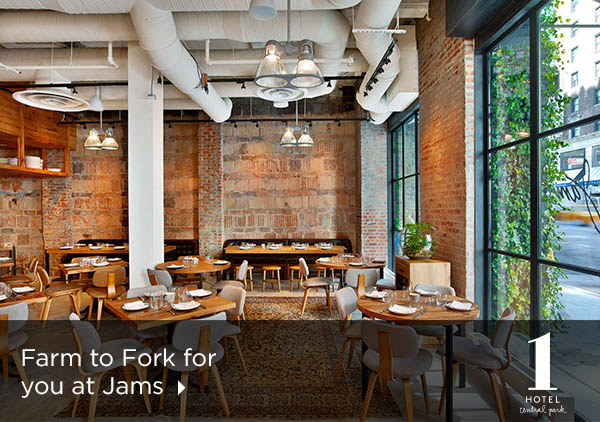 Farm-to-fork cuisine is on offer at Jams, a stylish restaurant featuring seasonal menus by acclaimed chef Jonathan Waxman. Linger over brunch in the greenhouse-like space, order breakfast in bed, or relax at the bar with a hand-crafted cocktail. Send an availability request with your requested dates to the 1 Hotel Central Park. Features 1 Queen bed, interior view, writing desk and Wi-Fi Internet. 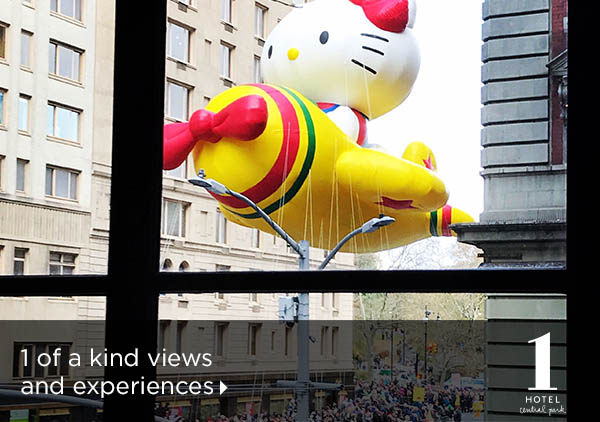 In many City King rooms you can survey the view from your window-nook daybed that extends out over the city. Welcome to your Central Park retreat that sleeps up to four. Features 1 King bed, interior view, writing desk and Wi-Fi Internet. In many Studio King rooms you can survey the view from your window-nook daybed that extends out over the city. Thoughtful touches bring nature inside with a reclaimed barnwood ceiling and live plants sprinkled throughout. Park view, complimentary Wi-Fi Internet, living room, dining room, kitchenette and media.